Yuzawa"- Little Kyoto" SUBPAGE | All Japan Kyoto Association"
Yuzawa was developed as a castle town governed by the Satake Minami Family. The Omono River from the north to south through the middle of the city and Mt. Chokai, aka Mt. Fuji of Dewa, sits on to its west side. 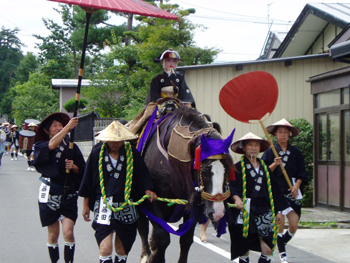 Traditional events are held throughout the year, such as the “Tanabata Picture Lantern Festival” and the “Samurai Parade” in summer and the “Inukko Festival” in winter. Akita Prefecture is famous for beautiful women with fair skin. As it is often called as the Nada (famous sake production area in Hyogo Prefecture) in the Tohoku region, Yuzawa is also known as a production area of quality sake. Today, six breweries produce locally crafted sake in Yuzawa. 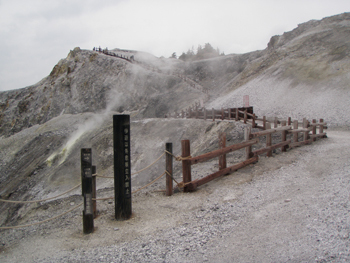 Out of the town lies many noteworthy hot springs including Kawarage Jigoku (one of the three most sacred religious mountains in Japan) and Kawarage Oyutaki (natural open-air bath). One of the three most sacred religious mountains in Japan. The white mountain’s surface and spouting steams from a hot spring makes for a magnificent view. 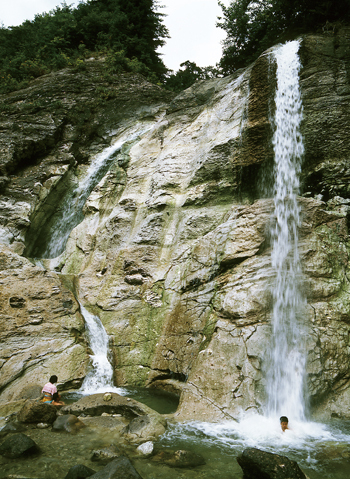 A 20-meter-high waterfall whose water is a natural hot spring. The waterfall basin is a nice natural hot spring in which to bathe (open from early July to mid-September). 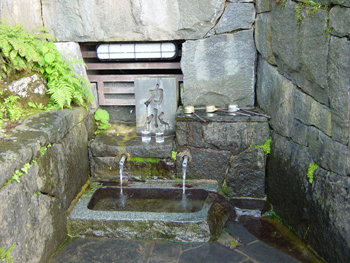 Famous for quality spring water; selected as one of the 100 Best Natural Springs of Japan. Yuzawa is known as a production area of quality sake. Advance reservation necessary for the brewery visit. 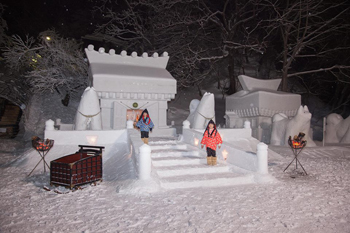 Snow figures of dogs and temples are made and lit by candle light – Such a romantic atmosphere. Pretty candy craft shaping in dogs will be available. 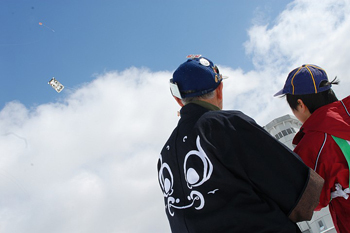 Unique Japanese kites will be flown up into the sky. Free Japanese soup will be served to visitors. 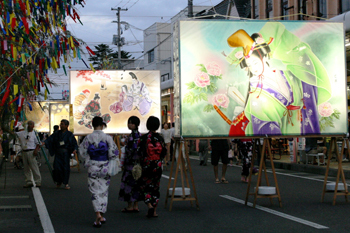 Lanterns decorated with pictures will be lit up in the evening. A must-see beautiful sight on the summer night. Held on the day of the annual festival dedicated to Atago Shrine. Some 300 people, dressed in the historical samurai costumes, will parade around the city. The performance by men called ‘Yakko’ is entertaining. 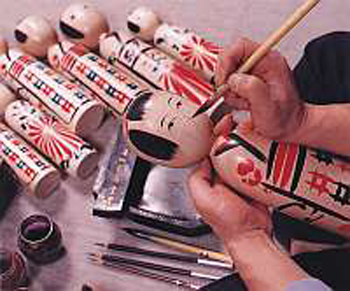 Pretty and simple Japanese wood figures painted in lively colors by brush. 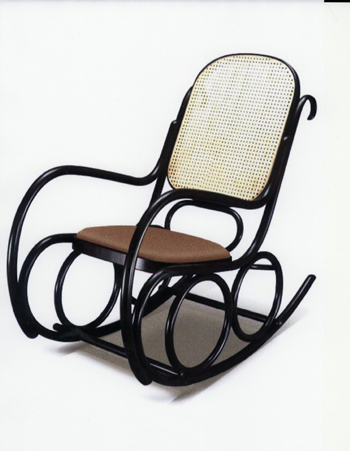 Hard wood such as Japanese beech and oak are steamed and bent and become beautiful and durable furniture. Light yet durable with their sophisticated curving lines design. One of Yuzawa’s traditional crafts. 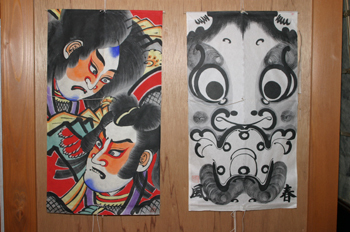 A large face with huge eyes, or ‘managu’ in local dialect, is depicted powerfully on the kite, solely using black calligraphy ink. 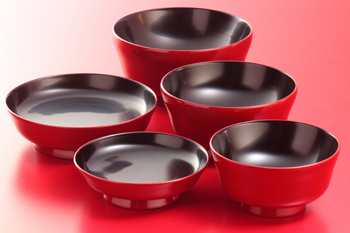 With 800 years of history, Kawatsura lacquer ware is a representative traditional craft of Akita Prefecture, and is also designated as a traditional craft of Japan by the national government. 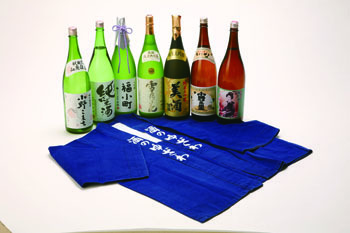 Using quality sake rice and pure water, sake brewed in Yuzawa has long been praised for its exceptional quality. 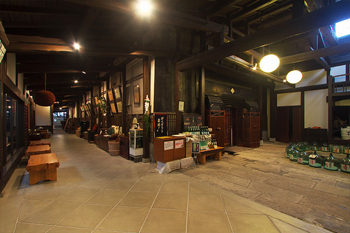 The area is often called as the Nada (famous sake production area in Hyogo Prefecture) in the Tohoku region. Using quality soy beans, miso (salty fermented soy bean paste) and soy sauce from Yuzawa are also praised along with Japanese sake. Pickles have long been a staple of people’s daily food as well as an important preserved food. 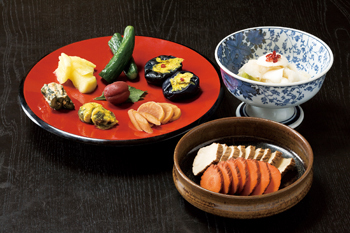 Especially famous is Iburi-gakko, pickles of smoked vegetables. 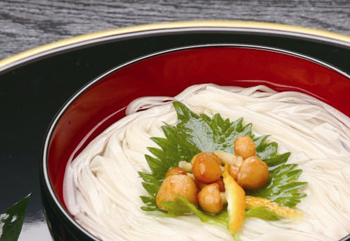 Inaniwa Udon is one of the three best udon noodles in Japan. Unchanged since the Edo period, udon noodles with a delectable aroma and firm texture are produced carefully using traditional handmade skills.